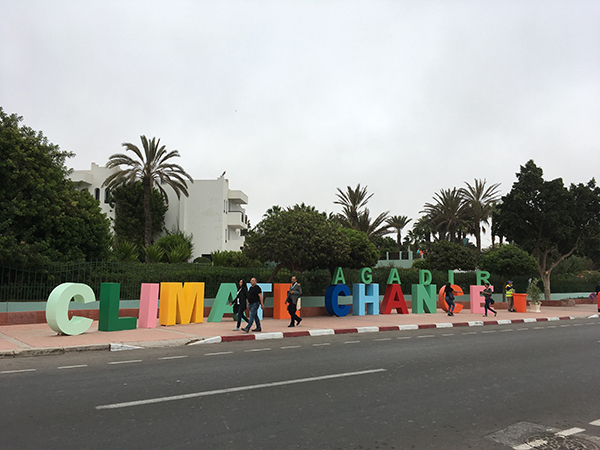 The meeting of non-state actors concerned about the climate - Climate Chance - took place last September in Agadir (Morocco), bringing together 5000 participants of 80 different nationalities from NGO’s and territorial collectivities. For this second meeting particular emphasis was placed on the state of climate actions in favour of African countries, and, more widely, other countries of the global South. Even though Africa is badly affected by the effects of climate change, it is also the "cleanest" continent with respect to greenhouse gas emissions. So it is extremely important for African actors to commit themselves to durable green solutions, for example through appropriate development policies in many domains (housing, economies, environment etc.). A few weeks from COP23, the mobilisation of African collectivities is encouraging, through, for example, the commitment of local and regional elected representatives, in a declaration announced by some 30 mayors, to carry though the ’climate plans’ and to involve all the actors in their territories: citizens, associations, economic actors etc. The summit concluded with drawing up for signature of theAgadir Declaration  reiterating the priorities for accelerating climate transition. One of these - the strengthening of capacities of vulnerable populations for adapting to climate change - is a central objective of the AVN programme. , aussi, c’est naturellement que notre association rejoint la liste des signataires.This road map will be proposed to all the representatives of national governments and to the Executive Secretary of UNFCCC, Patricia Espinosa, ahead of COP23 . 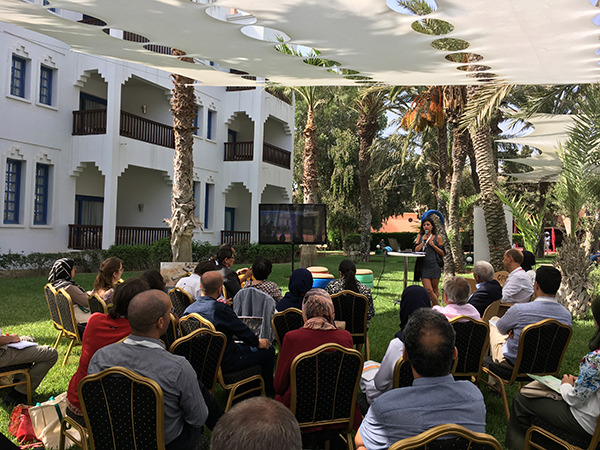 Based on the strengths of its extensive field experience, AVN had organised a workshop on local approaches to development and adaptation in the sectors of housing, energy, and agriculture, and invited contributions from Agrisud, the Norsys Foundation, GERES and the Jbel Ayachi Association. The discussion focused on the identification of the principal levers for the dissemination of adapted solutions and their replication in these three sectors. Scaling up through national network building, the result of strong local integration, wide-scale dissemination and inclusion in national development policies. In addition, this Climate Chance summit was an opportunity for AVN to meet potential partners and strengthen its network of contacts. And we were delighted to welcome to our stand Hakima El Haite, Moroccan Minister of the Environment, who gave us his congratulations and support for the continuation of AVN’s work in Africa.